How to watch The Skyjacker's Tale (2016) on Netflix Netherlands! Sorry, The Skyjacker's Tale is not available on Dutch Netflix, but you can unlock it right now in the Netherlands and start watching! With a few simple steps you can change your Netflix region to a country like USA and start watching American Netflix, which includes The Skyjacker's Tale. We'll keep checking Netflix Netherlands for The Skyjacker's Tale, and this page will be updated with any changes. The Skyjacker's Tale is not available in Netherlands BUT it can be unlocked and viewed! Years after hijacking a plane full of passengers and seeking asylum in Cuba, a convicted mass murderer still refuses to call himself a criminal. He took matters into his own hands, and he managed to escape. But how long will his freedom last? There is a way to watch The Skyjacker's Tale in the Netherlands, even though it isn't currently available on Netflix locally. What you need is a system that lets you change your Netflix country. 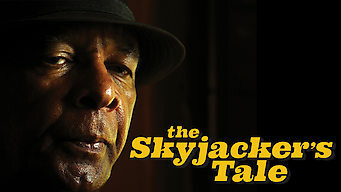 With a few simple steps you can be watching The Skyjacker's Tale and thousands of other titles!